When the lead gen effort is failing and we’re trying to fix it, we marketing pros usually head right into the weeds. Are there too many characters in the subject lines? Should we add more long-tail keywords? Is the call-to-action button the wrong shade of green? It’s not that those details don’t matter at all. At high volumes, they could matter a lot. 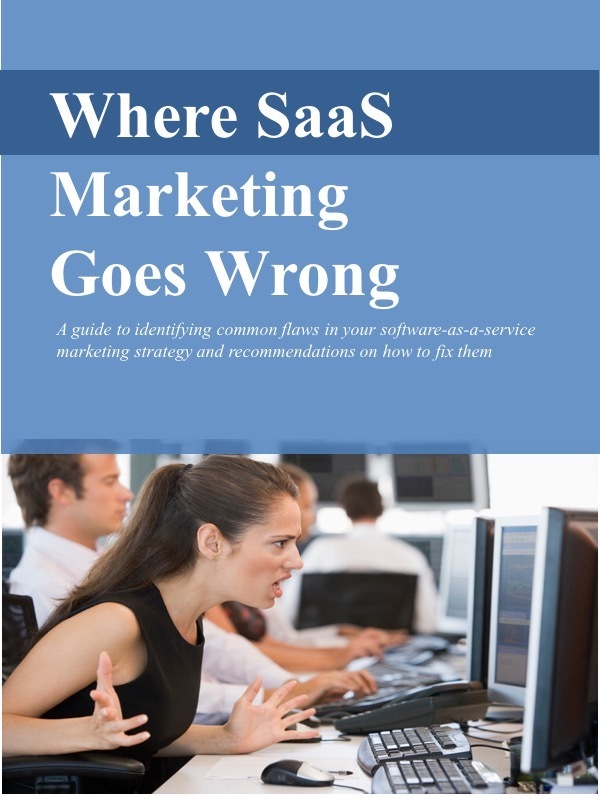 But for many software-as-a-service (SaaS) providers, focusing on those details is a distraction. When lead generation is failing, it’s usually other reasons that are to blame. It should be crystal clear in all communications WHO should be using the product. Don’t expect the reader to work hard to figure that out on their own. And the more specific the better. Identifying the target user as “B2B companies” or “financial services firms” includes a broad audience. Sometimes the audience has no idea what problem we solve for them. We’re over-eager to talk about features, features, and more features, but it’s not at all clear why any of them matter to the prospective customer. In most organizations, the people evaluating the SaaS solution care about growing revenues, cutting costs, increasing productivity, reducing risk, or some other essential business goal. We need to make a case that that is precisely what the solution can do for them. Our marketing messages should clearly identify the problem and explain how our solution eliminates it. Even better if we make the case that the solution solves an urgent problem, one that cannot be ignored or put off while they deal with more important priorities. The audience we’re trying to reach are busy people; they only have time to focus on urgent problems. While we may be fixated on optimizing our Facebook ads or tweaking our Twitter promotions, that may not matter at all to our target audience. It just may be that they’re not looking for solutions on Facebook or Twitter. We can make the same mistake with events, mailing lists, or publications that don’t get us in front of real prospects. The problem isn’t with the message, the copy, or the call-to-action. The problem is that those channels aren’t where our prospects are looking. It’s certainly appropriate to sweat the details of SEO, pay-per-click, PR, social media campaigns, or any other technique to build visibility and generate leads. But before you get too deep into the weeds, don’t miss the big issues.